You should read that title like the song This Is Why I'm Hot. You know, I'm fly cause you not. Anyhow. Yesterday after I posted about our glute workout, Joshua asked "do you ever feel like you're completely wasting your time with workouts like this?" You may have read that as a sincere question. However, he said in the tone of: "Why did you do this? It's a waste of time." I'm sorry babe, but you did. So in honor of my glute day hating husband, here are the three exercises that are the end all be all of weight lifting. These three exercises are all you'll ever need. In all non-sarcastic-honesty, these three are good for beginner lifters. I did a workout solely of these three exercises for quite a while. I did five sets of five of all three at about 80-85%. That may not sound like much, but once you get going, you get a good workout in. It is exhausting. If you do it right. Without further adieu, here are the only three exercises you will ever ever ever need. There are different forms of squatting, but I prefer the back squat. 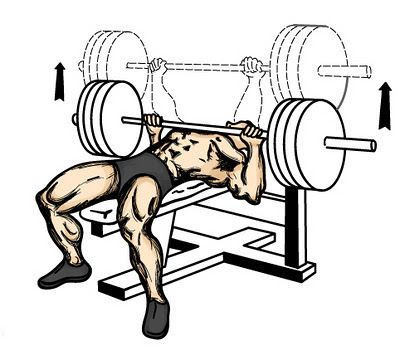 I find the front squat extremely uncomfortable. This is pretty self explanatory. 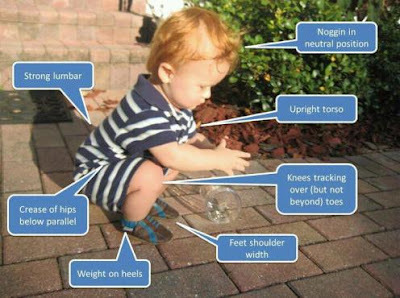 Babies can do the proper squat form. Not many adults can. Again, there are different types of bench. Incline, decline, flat. I prefer flat. Bench is not a strength of mine. I just really learned how to do it about a year ago when Joshua started working with me on it. This one is pretty cut and dry. You pick it up, you put it down. This is Joshua. He wants you to know this was years ago, and he lifts more than this now. He also enjoys long walks on the beach and puppies. Occasionally rainbows. So there you have it. All you'll ever need. You're welcome. What are your go-to exercises?